Rami and I stayed close to home for this weekend’s picnic, at Northwest District Park in the Shoal Creek neighborhood of Austin. This park is one of my favorites in the city, and it’s the perfect place for families to hang out on Memorial Day Weekend. 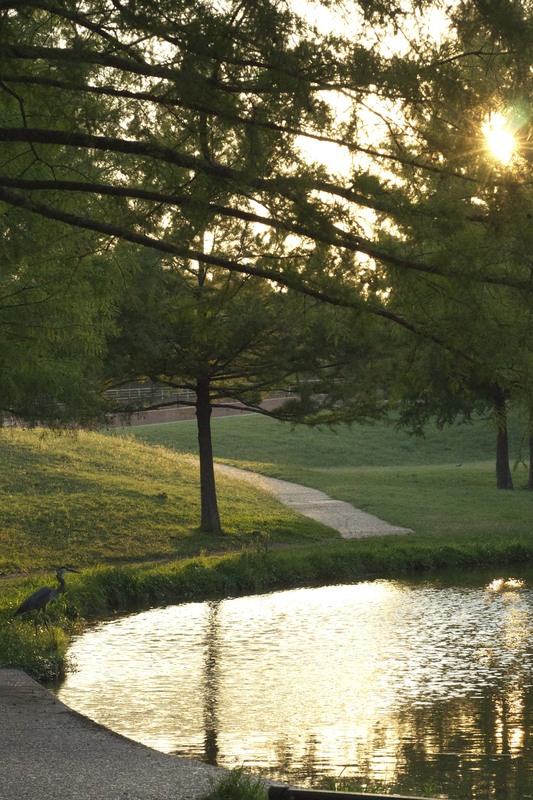 Northwest District Park has lots of picnic tables, a pool, a pond, basketball courts, and a large playground. 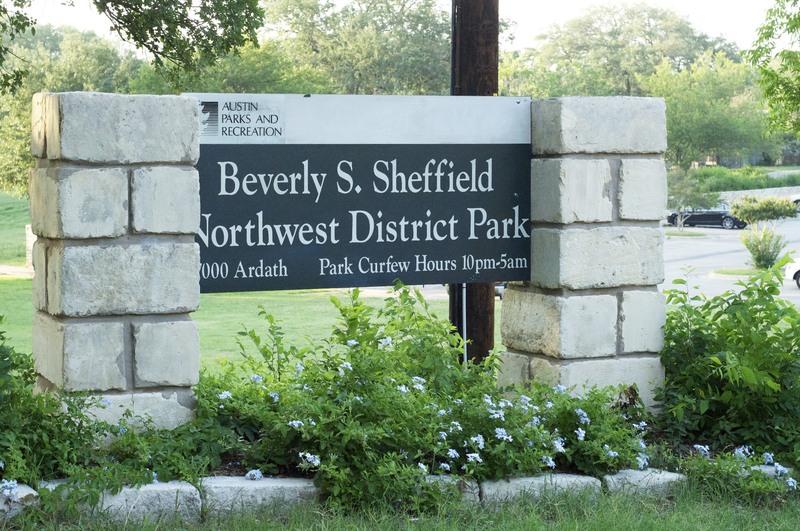 It’s a huge park, with two entrances: one on the east side of the park at 7000 Ardath Street, and another on the west side of the park at Shoal Creek Blvd. between Dover and Pinecrest Blvd. The park has many grassy lawns and paved walking areas shaded by tall trees. One of the best things about picnicking at Northwest District Park is its abundance of picnic areas. 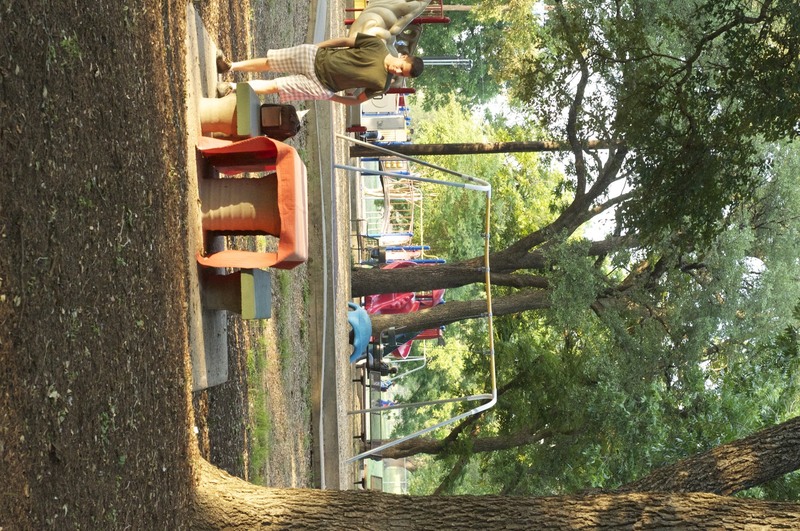 Like many of Austin’s parks, Northwest has three large, reservable picnic areas with many tables. However, it also has several more secluded picnic tables tucked around the park. We chose this one to set up our picnic since it was situated in the shade of a pecan tree and overlooked the playground. Our menu for this picnic was our favorite yet. 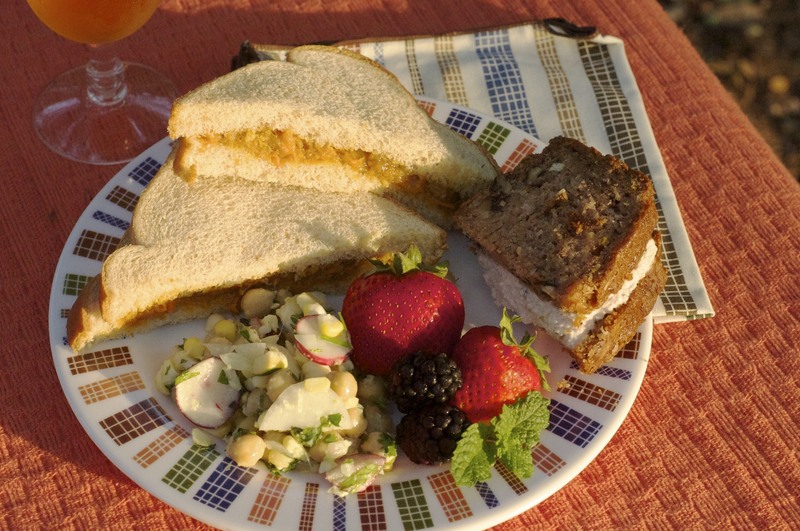 Peanutty Carrot Tea Sandwiches: these are a wonderful alternative to plain PB&J. We skipped the raisins and used Confituras marmalade in the recipe. Yum! Corn Radish Salad with Jalapeno Dressing An awesome spicy salad that uses radishes! 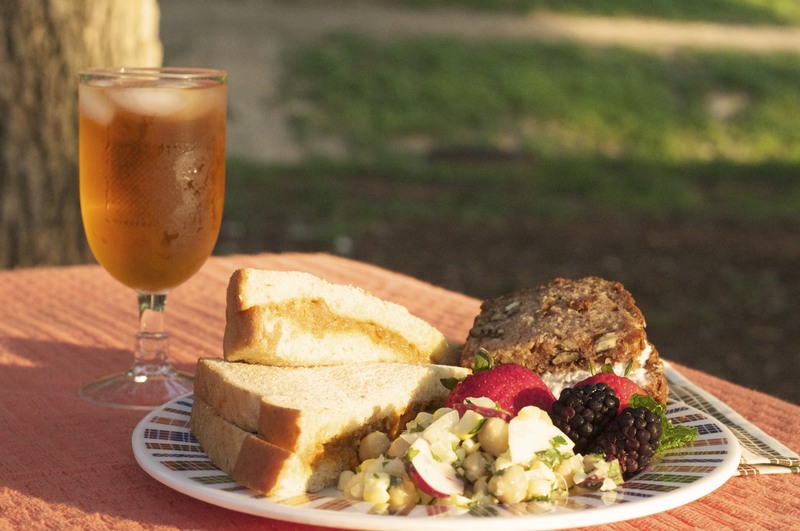 I’m going to play with this recipe again for next week’s picnic since we enjoyed it so much. Strawberries and Blackberries: sadly, local strawberries are gone for the season, but the blackberries from Wheeler Farm were super sweet! Summer squash bread with beet-pecan sandwich spread. One thing that’s not coming across in these pictures is the ridiculous number of bugs swarming around us and our food. I got 13 mosquito bites while I was plating the food and taking this picture! Because of all the bugs, Rami and I ate in record time and hightailed it outta the park. We spotted an egret at the pond as we left, just before the sun set. This entry was posted in Family, Meal Plans, Picnic, Recipes, Sides & Appetizers, Vegetables and tagged Austin, Beet, blackberry, carrot, Cilantro, corn, Food, Jalapeño, Memorial Day, Picnic, Radish. Bookmark the permalink. Nice late spring/early summer day. That tea looks so refreshing. I hope you guys had a great anniversary! Another solid picnic lunch. I love reading your menus as it’s always full of things I never would have thought of myself. Very creative! What a beautiful spread. I love your creative food pairings-the pics are beautiful. With a menu like that you could certainly forget about the Texas heat for a while. Looks like it was a lovely day despite those pesky mosquitos. Your menu sounds delish!